Militants blatantly breach ceasefire in the Luhansk sector. Over the past day, militants twice violated the "New Year ceasefire" in Donbas. One Ukrainian soldier was wounded amid the enemy shelling. 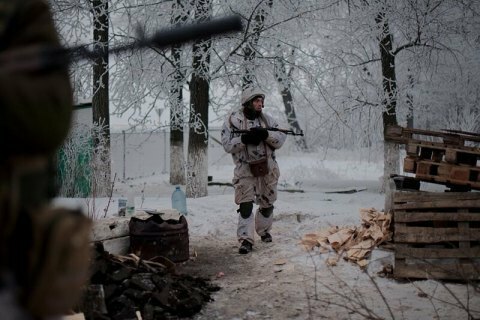 In a report on Friday, the press center of the anti-terrorist operation said that for the first time in three days the terrorists violated the ceasefire in the Luhansk sector by shelling for 10 minutes the defensive fortifications of the ATO near the village of Luhanske from 120-mm mortars. In the Donetsk sector, the militants fired grenade launchers and small arms and released a few 120-mm mortar shells opposite Verkhnyotoretske. Ceasefire was mainly observed in other ATO. Ukrainian servicemen did not return fire. The wounded fighter is hospitalized. There are no threats to his life. From 1 January, Italy headed the OSCE and pledged support to the Minsk agreements.